Earlier this week Google announced, via their Education blog, two new Chromebooks coming to the ever-growing lineup of rugged devices geared towards students. 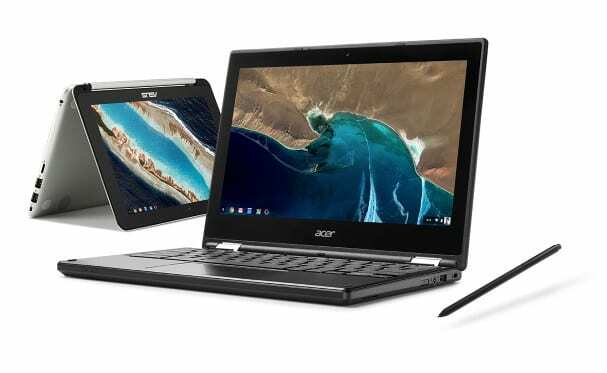 The Acer Chromebook Spin 11 and ASUS Chromebook C213 are being marketed as the “new generation” of Chromebooks. Acer has now released the full specs of the Chromebook Spin and let me tell you, they are impressive. For starters let’s talk about what it’s not. In my initial haste to share the release of this Chromebook I was under the impression it was a variant of the recently announced Acer Chromebook 11 N7. 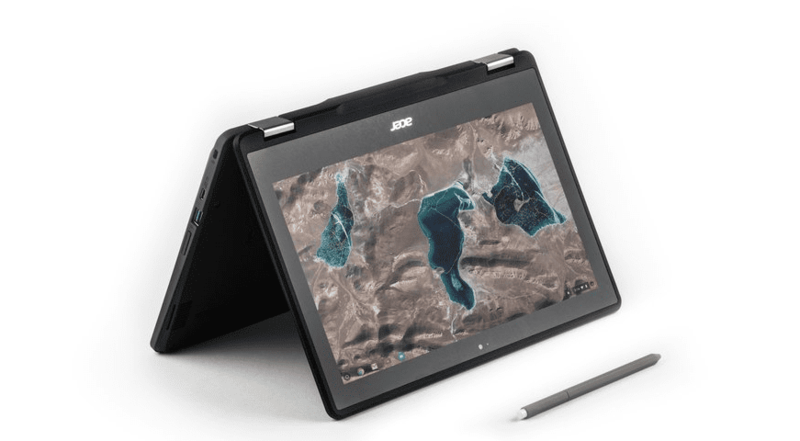 What it is, for all intents and purposes, is the first of what will be many Apollo Lake-based Chromebooks released this year. That, combined with a few other very impressive features make this Chromebook a bit of an oddity in the education sector. So, without further ado, let’s get to the specs. That’s a whole lot of Chromebook. Let’s take this one bite at a time. First, to the best of my knowledge, this is the first Apollo Lake-based Chromebook to actually hit the market and it’s an EDUCATION DEVICE! We knew that Chromebooks were on the way with Intel’s latest Atom chip but a student model? And that’s just the beginning. Look at the base configurations here. 4GB ram and 32GB storage are hardly the norm for low-cost education models. Generally we see the introductory devices coming in with a mere 2GB/16GB. It seems the manufacturers have heard the cry of the people. We’ve said it until we we’re blue in the face: 4GB ram is the sweet spot for Chrome OS. Now that Android apps are going to be standard for future devices, 2GB needs to be a thing of the past. Not to mention the 32GB of storage. 64GB might be overkill for an EDU model but 32GB will ensure enough room for Android Apps and local storage for the lucky students who can get 1-to-1 devices. I believe this is a first for Chromebooks as well. But, from the looks of it dual cameras will become new standard, at least for convertible devices in the classroom. A keyboard-mounted, 5MP gives the students the ability to use their Chromebook display as somewhat of a viewfinder when in tablet mode. Applications could include use as a microscope, real-time mapping, 360° photography and who knows what else. This feature appears to be a standard feature on the ASUS C213 and a number of other Chromebooks released this week at BETT in London. This feature has been somewhat of a love/hate for Chrome OS users. Viewed as a gimmick by some, the addition of a stylus to a number of upcoming devices shows that OEMs are willing to embrace the potential this peripheral brings to the table for students. Initially it was unclear if this Chromebook came with a stylus or just supported it. Acer’s press release answered that question. We’ve already witnessed Google’s push to make USB-C charging standard on Chrome devices. The Acer Chromebook Spin appears to have gone above and beyond in this department. Not only do you get 2 USB-C ports, you still get to hang on to your USB-A ports as well. A number of users are already complaining at the lack of USB-A on the Samsung Plus/Pro and the ASUS Chromebook C302. While we won’t chime in right now on that, it’s clear to see Acer aimed to leave no stone unturned when designing this Chromebook. Which leads me to the next feature. I don’t know if this is a first but it’s the first I’ve ever heard of it. Not only is the IPS touch display made of Corning® Gorilla® Glass, it boasts “antimicrobial properties made possible by embedded ionic silver.” I don’t even know where to go with this. Kids in large numbers equal germs. It’s just the nature of the beast. Knowing that a Chromebook manufacturer took measures to combat ailment-causing microbes is, well, incredible. Hat tip to Acer. This device has definitely raised the bar for Educational Chromebooks. We still don’t know the intro price for the Acer Chromebook Spin and chances are it will be the top of the top in its class. But, look at what you’re getting. This Chromebook rivals and even tops many of the models I’ve owned and used on a regular basis. All wrapped together with the security and flexibility of Chrome OS and the wealth of apps from the Play Store, this very well could be the future of Educational computing. Both the Acer Chromebook Spin and the ASUS C213 are slated for release in late spring. We’ll definitely be looking to get our hands on them.